Chris teams up with some unlikely squadmates for a tactical journey through the end of the human world. 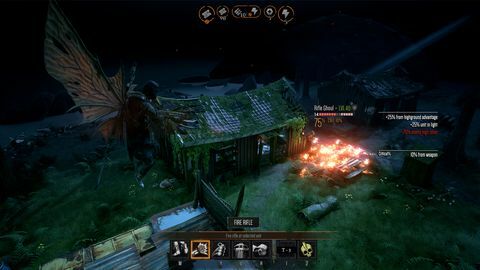 Mutant Year Zero: Road to Eden is one of those games that more or less came out of nowhere. More importantly though, through the combination of an interesting setting and addictive looking game play, it is an indie game making waves in an over-saturated ocean of AAA releases. 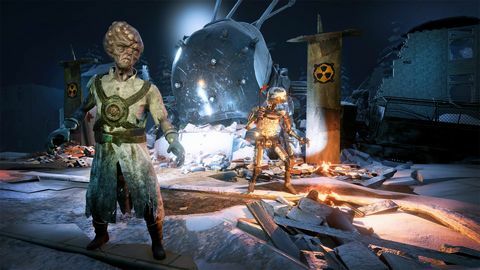 Based on the Swedish post-apocalyptic RPG system - Mutant, Road to Eden looks to combine the best parts of post-civilization adventure with XCOM inspired turn-based combat. 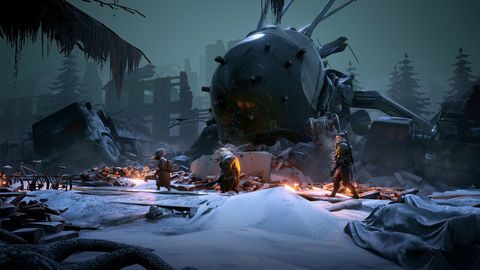 Thanks to its smart design and well-executed systems Mutant Year Zero just might be the breath of fresh air we need as the fallout of other apocalypses begin to dissipate. life is precarious, and mankind is no-longer entirely human. 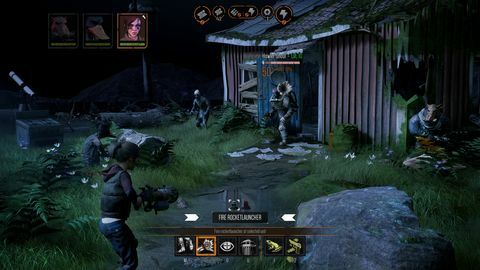 Mutant Year Zero: Road to Eden is a streamlined story-driven turn-based strategy game. Borrowing very heavily from Firaxis’ reboot of the XCOM franchise. In a world devastated by a catastrophe caused by who the survivors call The Ancients we find humanity much diminished and even more changed. The remnants of humanity scavenge a living from the detritus of a long-lost civilization turned myth. Here scrap is currency, life is precarious, and mankind is no-longer entirely human. We start the adventure with two wasteland stalkers Dux and Bormin. These hearty scavengers represent the tenuous lifeline keeping their home, The Ark functioning. Scavenging the ruins for scrap, weapons, and ancient technology called Artifacts, these two unlikely heroes help to literally keep the lights on. They will soon discover a threat to their home that will likely mean the death and destruction of all they hold dear. As they move through ruins almost completely reclaimed by the wilderness, they will meet a few who will aid them in their quest and many more interested in wearing their faces as party hats. Did I mention that Dux is a 6-foot duck with a penchant for sniper weapons, and Bormin a bipedal tank capable of smashing through solid walls, who also happened to be an actual boar? Welcome to the world of post-humanity. Mutation is common on the Road to Eden, not all are as obvious as our animalistic protagonists but all five of the recruitable crew you will meet during the course of the game have a bilinear upgrade tree that unlocks various mutations to give you a much-needed boost in your combat prowess. Some of the mutations are quite impressive, from the ability to sprout wings, mind-control, chain lightning, and even frog-legs for quick ascension to prime sniper positions or a rapid retreat. My main complaint here is that many of the mutations don’t feel particularly ‘mutatey’ and a few are repeated across multiple characters. Things like run and gun and higher shooting distance, despite in the in-game flavour don’t really feel like your character is changing in any fundamental manner. Sadly, this also extends to the overall variety of mutations available, with only eight in total available to each character outside of a separate progression line that increases your health and range you can move in combat. The limitation here is not inherently problematic but in combination with only being able to field three characters out of a roster of five, it does feel rather limited especially when making the obvious comparisons to XCOM. Failing to silence a foe quickly will result in it announcing your presence and turning combat into an overwhelming fight for survival. Where Road to Eden shines is in how it integrates over-world exploration with its XCOM inspired combat. Unlike Firaxis’ alien eliminationathon, every map can be freely explored prior to engaging in combat. In fact, that is perhaps the most important aspect of the design. Your characters will talk to each other, comment on their current location and what they’ve experienced while exploring the map. Your enemies will also be wandering the world as well, and you need to be careful to sneak about when you encounter one in order to ensure you do not alert it to your presence and call down the mutant ghoul hordes or their robotic cohorts. 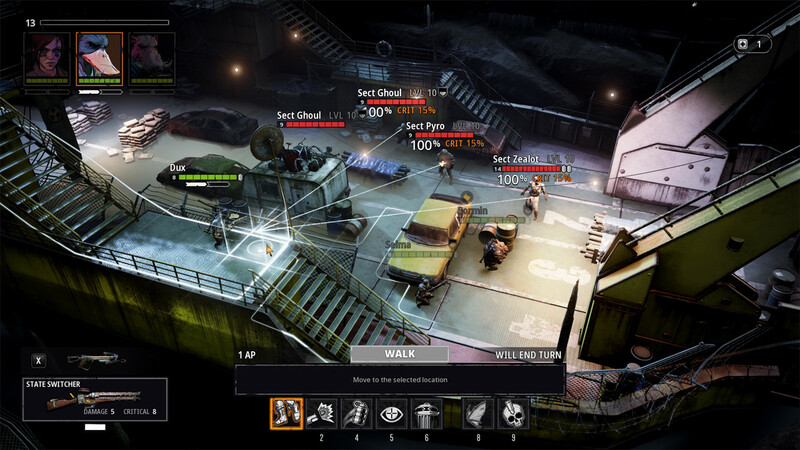 Using stealth, ambush techniques, and silenced weapons or abilities to eliminate isolated foes, guards, or scouts is vital to survival. You are always vastly outnumbered and thinning the herd is the only way to tip the scales back a little in your favour. Failing to silence a foe quickly will result in it announcing your presence and turning combat into an overwhelming fight for survival. Combat is very XCOM. Every character has two action points that can be used to either move, shoot, or activate an ability. 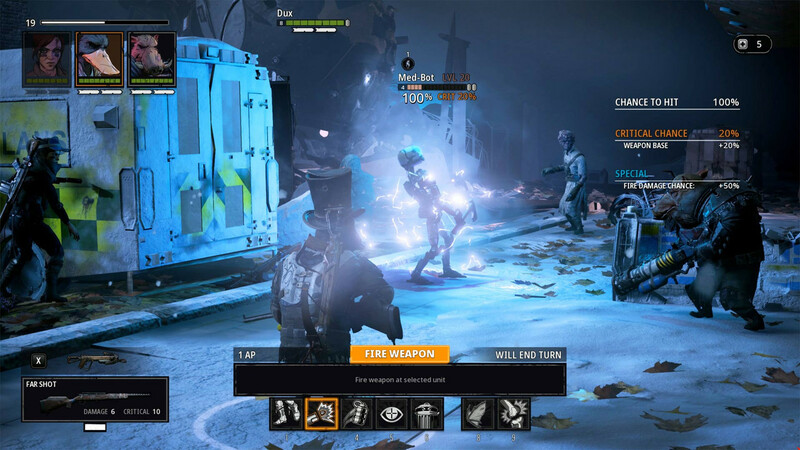 The execution is virtually identical with only the Mutant Year Zero flavour to distinguish it from its inspiration. This is by no means a criticism; the system is elegant and offers enough freedom to keep combat satisfying and challenging throughout. The three-character squad limitation is the only aspect that occasionally hurts the game. The lack of skill diversity and the limited amount of damage you can output in a single turn does mean that encountering more than two units will almost always result in the turn ending with at least one enemy being able to call down his pustulent pals to unleash a barrage of bullets and blood loss. It is occasionally frustrating and does increase the overall game difficulty in a somewhat artificial manner. Because the system is so very XCOM I could not help but lament the missing three squad members I had become accustomed to in the XCOM series. But this is a purely subjective appraisal, the three-person squad works and makes sense for the world I am playing in. 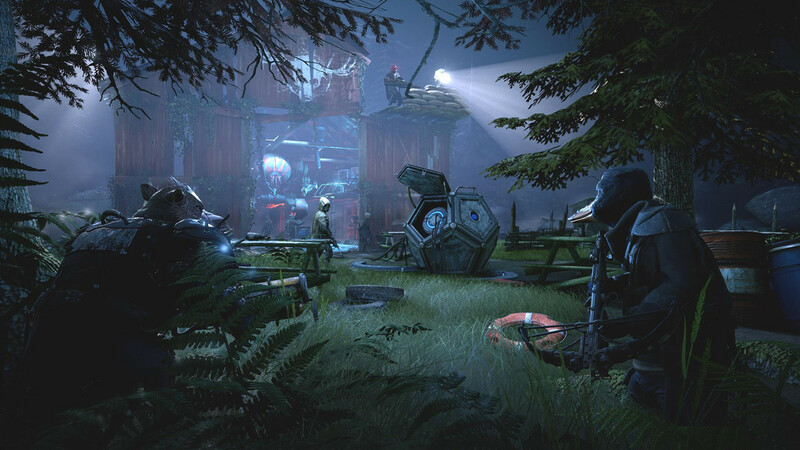 Mutant Year Zero: Road to Eden is an indie game, and that needs to be considered when assessing the relative merits of the product being delivered. The smaller squad size and limited roster, along with a more limited number of in-game items, weapons, armour, and enemy types all stem from the fact that The Bearded Ladies who made the game do not have the resources of a 2K Games backed AAA developer like Firaxis. Road to Eden is a more streamlined and narrower in scope game than XCOM, and in that context, they have delivered a full and rewarding experience. I never felt like I was missing anything, rather I was constantly impressed with how full the game feels and how expertly the team has turned that limitation into keeping the game snappy and constantly moving forward. The only thing I really feel the game lacks is some epic high-power loot. 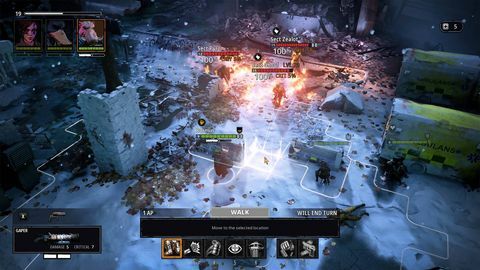 In the late stages there are some cool items to discover, but locating epic tech mid-game would have perked things up and provided a few more avenues when approaching combat. The Road to Eden is beautiful. 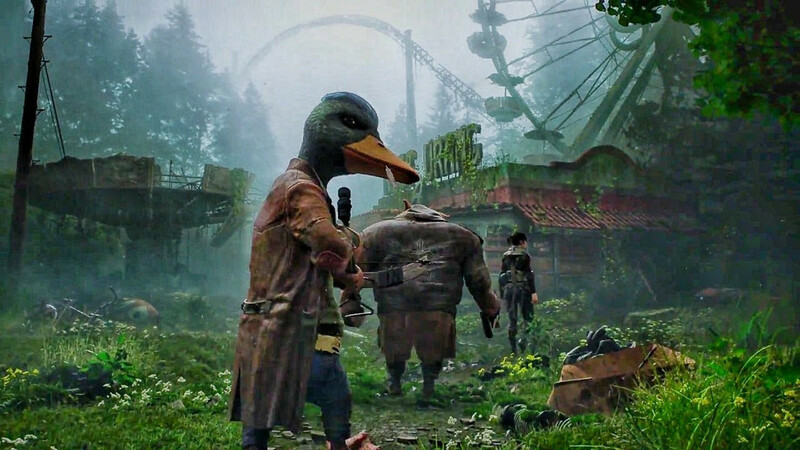 Broken, overgrown and exuding an almost tangible sense of tragedy and waste the post-human world in Mutant Year Zeromanages to pack a lot of personality in its focused presentation. While most of the maps can feel rather similar in places, I never felt like I was walking in circles. You could argue that the fog of war is a little too dense and all-encompassing while exploring, but it seldom detracts from exploring each new zone. Opening a new zone and exploring it for scrap all the while scouting for enemies remains fun and tense for the duration of the 25+ hour adventure. The voice acting is great across the board and the smaller character moments as the story unfolds all feel naturalistic. While this might not be a sweeping epic, the story manages to feel personal while also bearing the weight of world-ending stakes. I would love to see what team at The Bearded Ladies Consulting could do with a larger development budget. I have a very strong desire to come back to this fallen world and explore it further. Ups Great combat. Interesting characters and setting. Great voice acting and evocative art design help to create a world much greater than the limited budget should allow. Downs Small squad size can feel restricting. Limited weapon and skill diversity also feel limiting at times. Takes too long to get the cool loot. Feels very XCOM at times and limited as a result.